These days AMG is a wholly-owned part of Daimler, specifically aligned with Mercedes-Benz. It wasn’t always so, though, and when AMG was just a small, independent but highly effective curveball on the fringes of performance cars, it was free to shake hands on deals with whoever it liked. 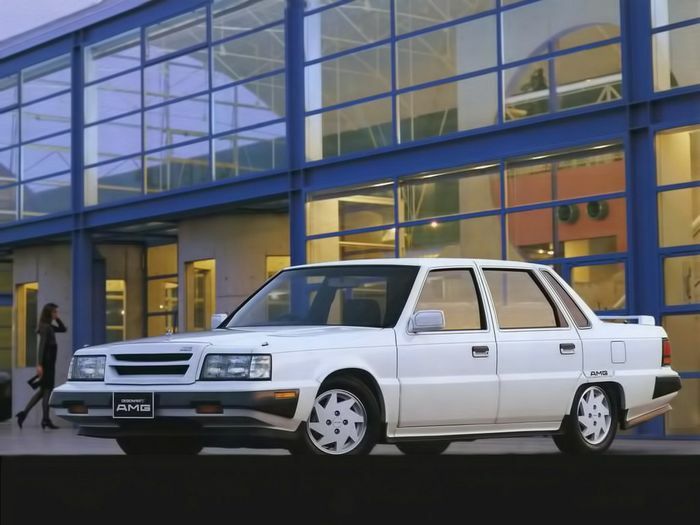 It twice paired up with Mitsubishi to create JDM specials. The later, and on the face of it the more interesting one, was the Galant AMG, which majored on an AMG-fettled 2.0-litre engine with 8000rpm of natural aspiration that span out a very healthy 170bhp. 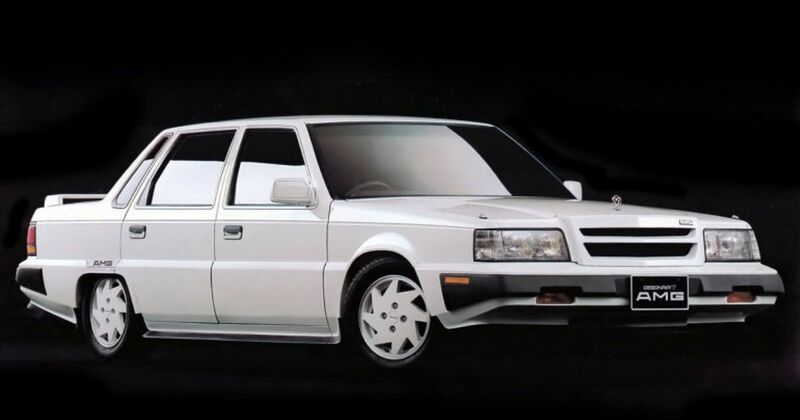 The weirder and less expected Mitsubishi AMG came first. 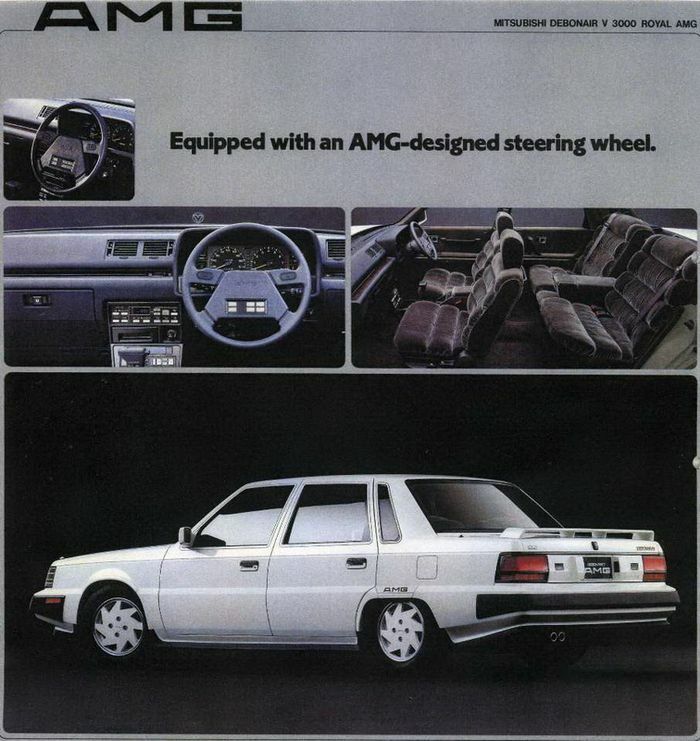 It was called the Debonair V 3000 Royal AMG. This example of Japanese namesmithing at its finest arrived in 1987, just a year after the legendary W124 E-Class-based AMG Hammer. The first Hammer had 360bhp from an AMG-tuned 5.6-litre V8, and it was silly quick. It could out-pace a Ferrari Testarossa with its 190mph top speed, and was claimed by some to be faster from 60-120mph than a Lamborghini Countach. With that in mind, by 1987 the AMG name had already earned its most important victory and its name had acquired serious cachet. You’d be forgiven for expecting big things from the Debonair V 3000 Royal AMG, then. It looked kind of like a 1980s Mercedes saloon, sat lower than a badger’s belly on trick but roly-poly height-adjustable suspension and wore a tidy boot spoiler. What’s not to love? Well, as it happened, under the skin it was a little disappointing. 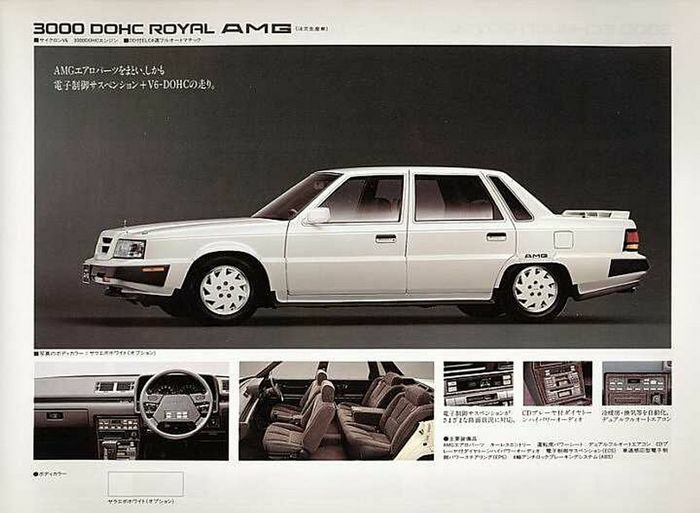 The Debonair AMG was built for Japan’s booming middle-management sector, which in the 1980s was full of newly affluent, relatively successful men looking for something practical and sensible but also with a slice of exotic European sportiness. That slice came served as the body kit you see in the pictures, a sportier steering wheel, ninja star-style alloys and AMG badges. The super-soft springs and ultra-chilled dampers were left more or less alone. Up front, the 3.0-litre V6 that drove the front wheels was also kept standard, although reports differ as to whether the engine had 148 or 197bhp. In 1987 it was most likely the former. Dynamically, the Debonair wasn’t exactly legend material in the way that so many other JDM heroes were. As such the car was quickly forgotten about while AMG returned to its German roots through the 1990s, eventually working only for Mercedes before being bought out and promoted to full performance partner status, with a position on the Benz board. 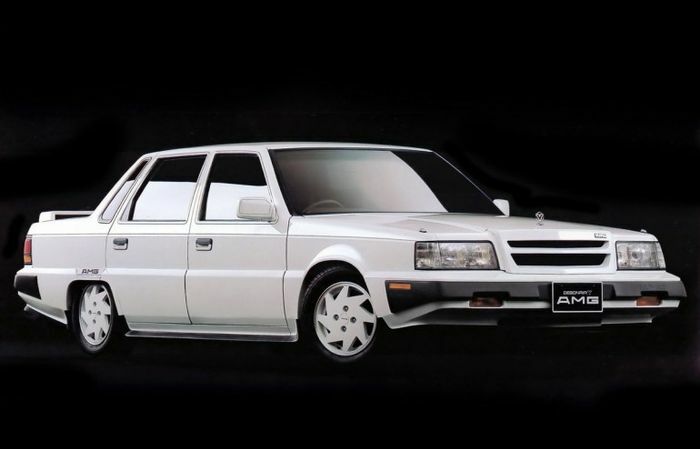 We couldn’t find any reference online to how Mitsubishi’s AMG tie-in came about, or why it fell apart after the Galant AMG. What we do know is that the German performance merchant’s foray into the JDM market left behind some of the stranger entries into its back-catalogue. Hopefully the likes of the quirky Debonair AMG will never be totally lost.